HIPAA-Tips is fully updated to the HIPAA Final Rule. 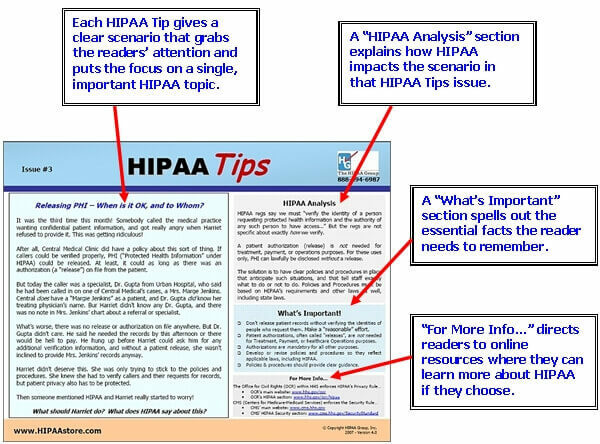 Keep privacy and security awareness an ongoing priority with HIPAA-Tips, the unique, scenario-based awareness tool that keeps HIPAA clear and simple for your staff. 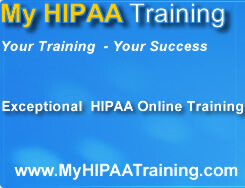 Maintaining HIPAA awareness after training is a challenge, and The HIPAA Group has the solution. Between periodic training, our set of twelve scenario-driven HIPAA-Tips reinforces need-to-know privacy and security concepts in clear, easy to understand language. 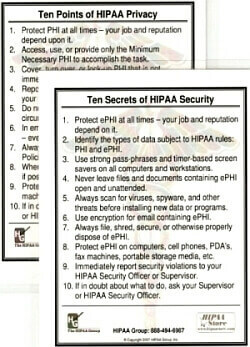 As a monthly privacy or security reminder, HIPAA-Tips can be emailed or printed for distribution as needed. HIPAA-Tips are perfect for in service meetings - just choose a HIPAA-Tips topic to cover. Distribute HIPAA-Tips before the meeting as your discussion guide. For individuals or groups who need additional information in a particular area, pick a HIPAA-Tips topic to match their needs, and give the help that's needed. Using familiar, easy-to-understand scenarios, your set of twelve HIPAA-Tips covers essential privacy and security topics your staff should know, including protecting PHI, disclosure do's and don'ts, proper PHI disposal - and much, much more. 1.) Privacy or Security Scenario - An engaging, real-life scenario staff can relate to. 2.) HIPAA Analysis - Tells staff how to properly address the issues raised in the scenario. 3.) What's Important - Spells out the most important points to remember. 4.) For More Info - Tells where to go online for more detailed HIPAA information. Keep your staff smarter and your practice safer with HIPAA-Tips, developed by the HIPAA experts at HIPAA Group.